As underscored during CSEdWeek, navigating the 21st-century world requires new kinds of problem solving skills — and therefore a deeper investment in educators to prepare them to teach the next generation. 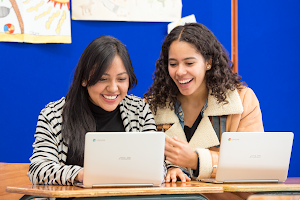 Google is committed to providing educators with the preparation, resources and support necessary to boost their confidence and skills as computer science educators through CS4HS (Computer Science for High School). The annual CS4HS awards support Professional Development (PD) providers (research institutions, universities, community colleges, school districts and educational non-profits) dedicated to creating and delivering Computer Science (CS) PD to local communities of teachers. Applications for 2017-2018 funding are now open. We need to equip educators with the knowledge, resources, and support to create CS content that meets students’ needs. 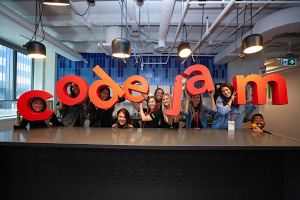 CS educators provide students with lifelong skills that enable them to solve problems and develop unique solutions. “A lot of students come out of school able to push the right buttons, but don’t know how to approach real-world problem solving. We need to teach students how to tackle problems that seem unsolvable,” says Leanne Cameron, lecturer of educational studies at Australian Catholic University. While not every child will become a computer scientist, every child should have the opportunity to explore and create with computing. “When students learn to code, they open the door to invent powerful things that can empower them and their communities,” says Dr. Yue Li, a teacher at South China University of Technology. All students need to develop the computational thinking (CT) skills that will help them develop critical workplace skills for the new global economy. Australian Catholic University responded to Australia’s newly mandated Digital Technologies curriculum by creating a compulsory course that will help all pre-service teachers in their Bachelor of Education programs learn how to teach CS and CT. Over 2,000 pre-service teachers have completed the course to date. This course has also been open-sourced so that other universities can use the content to prepare their teachers. Beyond their open source content, ACU’s nationwide workshops have connected in-service teachers to Google partners such as CS Unplugged and Adelaide University’s free online MOOCs for teachers to help scale professional development and online communities of practice. South China University of Technology works with the Guangzhou Education Information Center to expand the availability of MIT App Inventor throughout China, for example, by establishing a China-based App Inventor server. App Inventor was specifically chosen because an overwhelming majority of students have access to mobile technology rather than traditional non-mobile computers. With App Inventor, students can create their own mobile technology. South China University of Technology used CS4HS funding to organize App Inventor workshops for over 200 local teachers from 2014 to 2016, helping them build programming skills so they can encourage their students to design and build their own apps. Catrobat, a non-profit initiative based at Austria’s Graz University of Technology, used CS4HS funding to help teachers gamify computer science concepts. Catrobat built Pocket Code, a free app that students can use to create games and animations on their Android phones. To date, Pocket Code has approximately 26,000 installs on active devices and 250,000 downloads on Google Play. Alongside the game, they also created a free online course to teach users how to use the app to teach CS in their classrooms, with over 650 teacher users thus far. The app and course make coding education easy, accessible and fun and students just need internet access and a smartphone to get started. Pocket Code students use their self-designed app, a hybrid project of art, German, and programming, which connects a tablet to a skateboard to control student-generated artwork in the vocabulary game. Western Wyoming Community College professor Carla Hester-Croff used CS4HS funding to create a workshop for Wyoming middle and high school teachers. Working alongside the University of Colorado Boulder's Scalable Game Design project, Hester-Croff built upon the success of other CS education experts and customized the workshop content to local teachers’ needs. This resulted in incredible impact in a rural area with few CS resources. Teachers now incorporate game design and programming into classes like biology and environmental science – for example, creating a computer simulation to predict the spread of a communicable disease. “Our workshops have shown teachers that they don’t need to be afraid of computer science,” Hester-Croff says. You can read more about the organizations and individuals who are doing great work in CS professional development on our website. You can also watch our Hangout on Air on Dec. 14 to learn about the ripple effect of CS4HS and how it is growing and supporting local communities of teachers. By supporting teachers, we help them to inspire their students and equip them with critical problem solving strategies to solve the complex challenges of the future.